Orchids at the Singapore Botanical Gardens. Sweet Korean Pancakes being made at the Five Day Market. Makapuu Tide Pools on the east coast of Oahu, overlooking the Pacific Ocean. A view of Half Moon Bay, California on a rare sunny day. The Ritz Carlton in the background. Colorful sombreros at a roadside stand in Yucatan State, Mexico. The view across the Burrowing Owl Vineyard in the Okanagan Valley of British Columbia. We’re back from our quick trip to southern Cambodia. Even though rainy season is in full swing, our trip to Koh Rong was a success. We’ll have photos, video and more coming later in the week. Today we’re headed off to Singapore and southern Cambodia for a few days for some well needed R&R. After a day of transition in Singapore, we’re off to Sihanoukville,Cambodia for some beach time. While in Cambodia, we’ll be delivering school supplies for schools in the area. It’s a great opportunity to help those kids who don’t have access to good school supplies. Want to know more? Make sure to check out our friends at Pack for a Purpose. Things will be a bit sparse around here until we return, but we’ll be updating occasionally from the road. We’ll be posting updates and photos to Twitter more often than here on the site, so make sure to give us a follow @itsallhere. 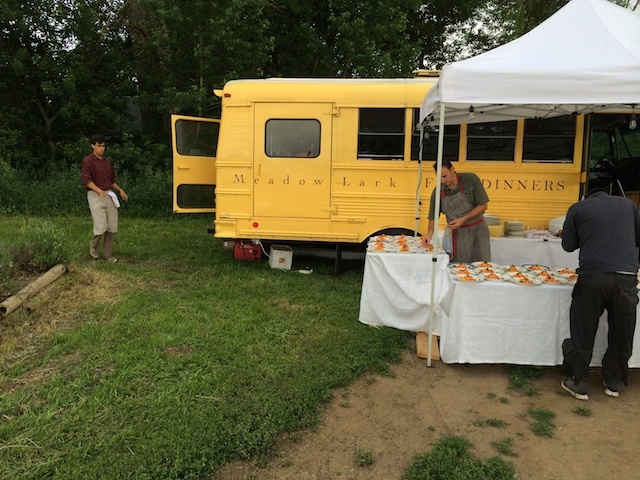 Thanks to Veronica and all her staff at Meadowlark Farm Dinners for a great diner this last Saturday at Cure Organic Farm in Boulder, CO. 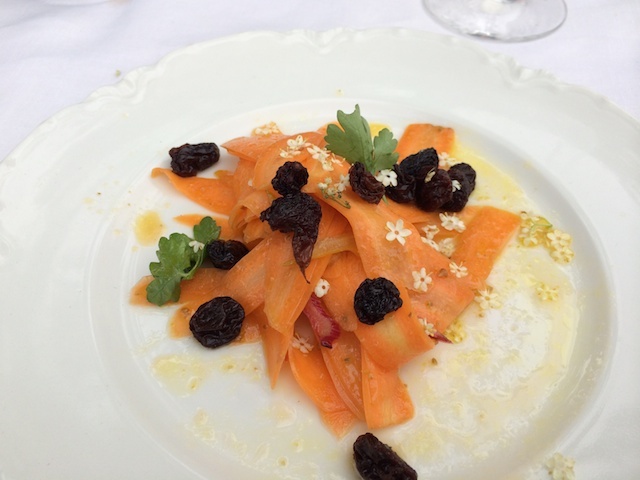 It was a perfect evening for our party and 36 other guests to enjoy a mediterranean dinner by Alberto Sabbadini. 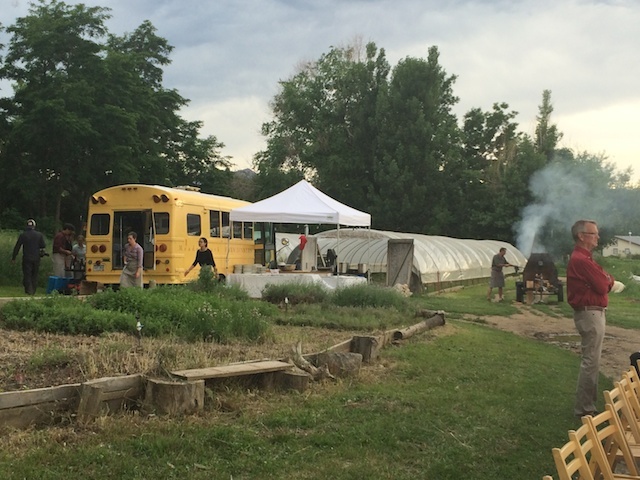 Food is prepared in Bella the Bus, a converted school bus from circa 1995, along with a wood fired grill trailer. 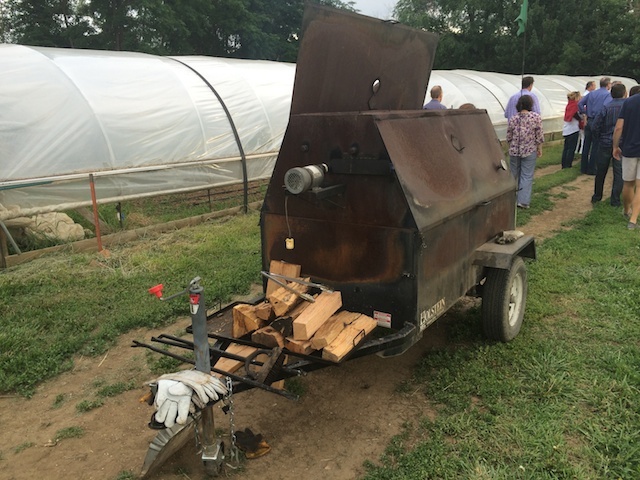 Starting with a duck egg crostini and baby carrots marinated in mediterranean spices and garnished with elderflower blossoms, which was followed by lamb ravioli with house made yogurt and wood fire grilled chicken. Dessert was out of this world with fried ricotta and creme anglaise. 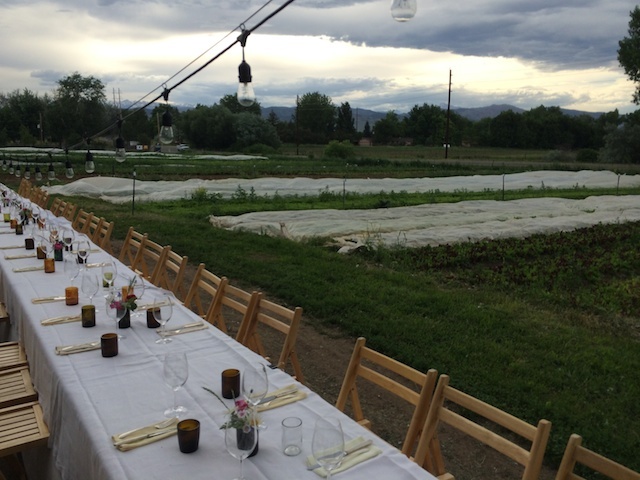 Meadowlark Farm Dinners run May through September throughout various organic farms in Boulder County, Colorado. 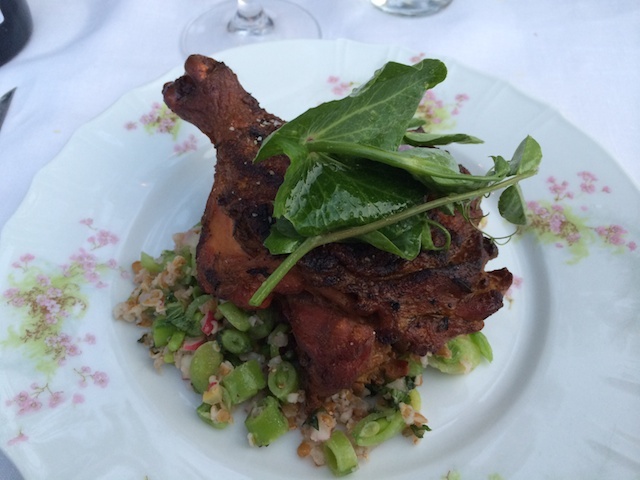 These dinners have become extremely popular since starting in 2008. Dinners are limited to groups of 40 or so and you must enter a lottery to have a chance at attending. The lottery opens a month in advance and it’s one of the hardest to get meal tickets in the area. If you have an opportunity and are traveling to Colorado during the summer months, check them out. You won’t be disappointed. Dinners usually start at 6PM and last until 10PM.